Idioms and phrases carry high importance when it comes to preparing for competitive exams like SSC CGL Tier I or Tier II, SSC LDC, CDSE, NIFT, etc. Though mugging them up could help exam aspirants to some extent yet it’s never been considered a great strategy if one would like to gain mastery over the expressions. Instead, if one uses an idiom in an appropriate context, it goes deep into one’s mind. Here’s a brief piece of writing which through an idiomatic expression apolitically congratulates the Aam Aadmi Party on its resounding success in recently held state elections. Go through it and learn how to use idioms and phrases in a right context. A politically green-horn leader who after biting the dust in last summer’s national polls went the whole hog this time and won something that has always been considered a Herculean task. Though who’s who of politics claimed that it’s not his cup of tea and took him as a small fry yet he didn’t show white feather and kept on working at grassroots level. He, moreover, never fought shy of tough questions while the leader of the main opposition party was seen throwing up the sponge at critical points. One main reason for party’s unimaginative come-back is the ‘connect’ the party volunteers have been able to make with ‘Aam Aadmi of Delhi’. The head and shoulders of the party put heads together and decided to go for a door to door campaign. Though people initially took workers’ statements with a pinch of salt but with their persistent and honest efforts the workers later became successful in carrying their point. 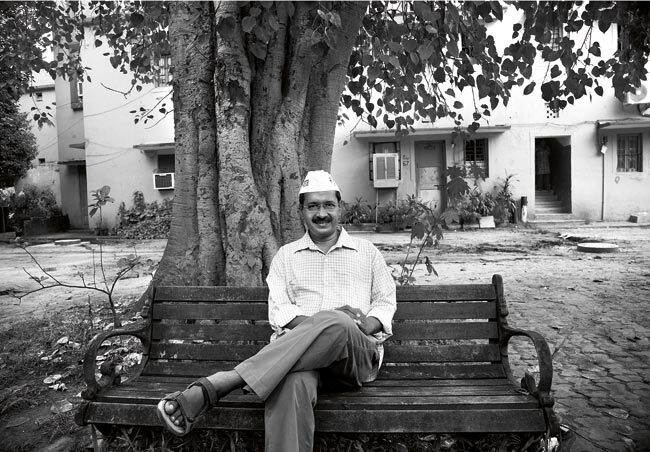 This move by and by gained ground and helped AAP turn the tables in its favour. One of the other significant reasons of this formidable victory is that the party management did well by giving a wide berth to the likes of Shahi Imam who tried to stir up Hornet’s nest at the last moment. On the other hand, one of the major reasons for the BJP’s huge setback is that it did not come home to the senior leaders of the party that the decision of parachuting the bluestocking Ms. Kiran Bedi as the chief ministerial candidate did not go well with the state party workers as they were seen at loggerheads with high command at times. Casting aspersions on AAP and calling their leaders names was also looked down on by the voters and this move turned out to be a damp squib and fell flat on the people. Now when the party has come off with flying colours, Mr. Arvind Kejriwal must give a good account of himself and prove that this win is not a nine days’ wonder or a flash in the pan. He now has to gird up his loins and burn the candle at both ends to fulfill what he has promised to the common man of Delhi. Previous What if I fail? Next You said you work hard. But then so does Mr. Donkey.